Blackjack can be a true form of art in the hands of experienced players. Read our guide, learn the blackjack basics, and make the first step towards being a professional card player. Blackjack Basics: How To Play? Blackjack is a simple casino card game which leaves a lot of room for various strategies, enabling skillful players to raise their odds significantly. The best possible situation in blackjack is to have a hand of cards whose total sum counts exactly 21 (with the first two cards dealt). This is called “the blackjack.” You can have less than this number (you have a weaker hand in this case), but if you get more, then you are “bust,” and you lose the game. On the contrary, the dealer will win if his hand is nearer to 21 than yours, or in case you go “bust” (exceed 21). Five or more (up to 12) players usually sit behind the curved side of the blackjack table. There’s a square on the felt in front of each player — the space for placing bets. Usually, blackjack rounds are captured by a camera installed above the blackjack table, making cheating impossible. Players have to know a particular blackjack body language in order to place bets, because of the camera (it doesn’t capture sound). The game begins with the first betting round, after which the dealer distributes one card dealt face up to each player. However, his first card is face down and it’s called a “hole card.” It will not be revealed until the end of the game. In the second deal, everyone gets their second card (all cards are face up this time). The game might end here if either some of the players or the dealer get a blackjack (the value of exactly 21). Otherwise, the game continues, and the players have to start making risky choices. Once each player has two cards on the table, they will take further steps based on the value of their cards and those of the dealer. The position on the dealer’s left is called “the first base”, and the player standing there has to play first. So, there are several options at the players’ disposal, each having a special body language (due to the camera). Here’s a list of these options, their meaning, and their corresponding gestures. Hit — “I wish additional cards” (tapping the felt with the index finger). Beware, because if you choose this option, the dealer will keep adding cards until you either get a blackjack, go bust, or decide to stand. Double down — “I want to get one more card and redouble my bet” (dragging the additional chips next to the previous ones. Surrender — “I wish to exit the game” (drawing a straight line on the felt with your index finger). In case you surrender, you will get half of your bet back. As you can see, the 17 is sort of a limit here. In good casinos, the dealer will stand on “soft” 17. This is a special situation when cards show a total sum of 17, but with one or more Aces. The Ace is problematic here because you can count it as one and eleven at the same time. In bad casinos, the dealer can hit with the value of 17 too. There are hundreds of side bets you can place in blackjack. Let’s list some of the most common. If the dealer’s revealed card is an Ace, this is an extremely risky situation for the players. It’s because the hole card can be the face card, which would make the dealer’s combination a blackjack. In this situation, the dealer will offer the insurance option. 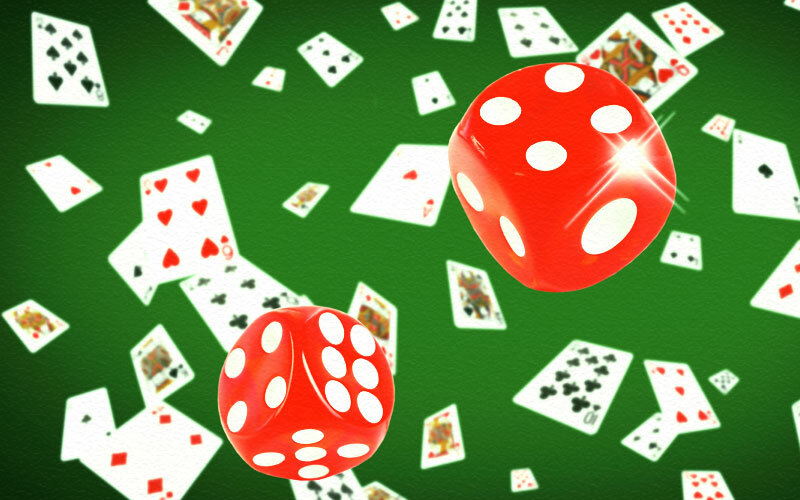 If you decide to use it, you will have to wager the amount which is half of your initial bet. So if you lose the round, the casino will pay you back your original bet from the beginning of the game. Again, if the dealer has an ace, and some of the players have a blackjack, the dealer will offer an even money option to the player. 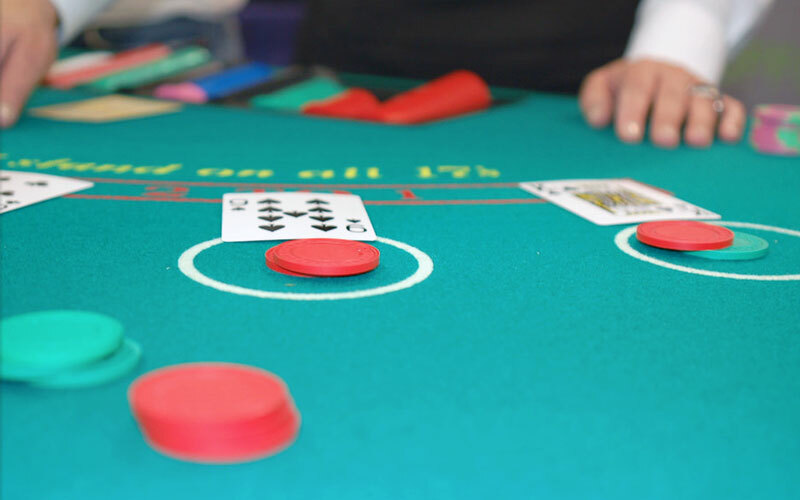 Since there’s a real possibility for the dealer to have a blackjack too, the player can take an even-money offer and pay the wager (the amount depends on the casino) in order to ensure being paid even if there’s a push. However, this is not so advantageous for the player, because he then agrees to be paid only one-third of what he would receive without taking the even-money offer. 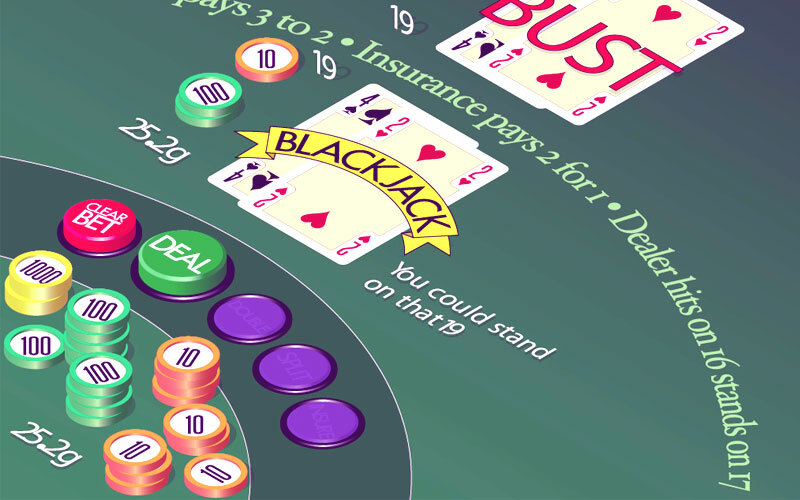 Blackjack is one of those card games that can be viewed as a form of art, just like poker. But in order to come to that, it takes quite some time and experience. What you have learned here are only the blackjack basics, and the rest will depend on your own effort and patience. Play responsibly and good luck!